Tremolo is the subtlest and simplest of modulation effects and as such, no good amp should be without it. However, as it turns out, many of them are. 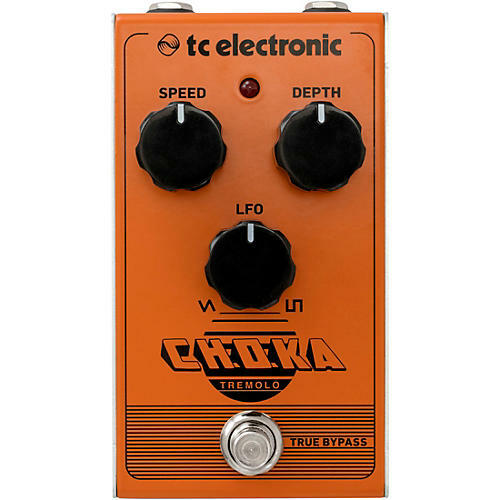 TC Electronic's Choka Tremolo intuitive 3-knob layout lets you easily crank out fast waves that either cut deep or leave shallow furrows across your tone, or slow tides that ebb and flow with just the right amount of white-capped tubes you need for a satisfactory surf tone.